Lingcod is caught as part of a multi-species groundfish fishery in British Columbia. In 2012, BC landed $104.2 million worth of non-hake groundfish. A large proportion of the groundfish are exported to countries including the US, Japan, the UK and Russia. 1528 mt of lingcod were landed in BC in 2012. Abundance has declined over several decades, and is thought to be at its lowest point since the late 1920’s. However there are many uncertainties associated with the population data, and it is estimated that biomass is in the healthy range. 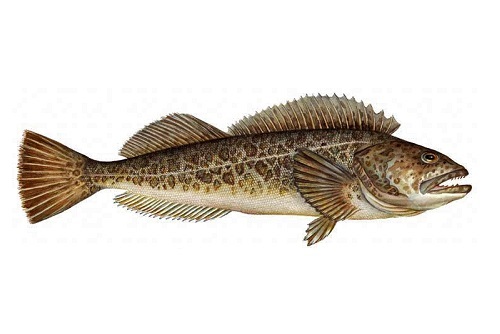 Bottom longline and jigged lingcod accounted for 26% of all lingcod caught in BC in 2013. The species is fished at a sustainable rate. Management of BC groundfish is moderately effective as management measures such as reference points and harvest control rules exist. However these measures are not applied to all stocks, and are not always supported by scientific research. Fisheries officers are highly effective in enforcing management regulations such as total allowable catch. Vessels are monitored with 100% at-sea, 100% dockside and 100% observer coverage. Non-targeted species caught in the BC groundfish fishery include: bocaccio rockfish, green sturgeon, redstripe rockfish, soupfin shark, sharpchin rockfish, splitnose rockfish, spotted rackfish, sixgill shark, steller sea lion, Pacific halibut, giant grenadier, Pacific grenadier and flathead sole. Amongst these species include those whose stock status is of concern, whose inherent vulnerability to fishing pressure is high, or whose fishing mortality rates are high. Bottom longlines and jigs typically cause less bycatch than bottom trawls. As immobile gear types which do not drag across the ocean floor, bottom longlines and jigs cause less habitat damage than bottom trawls. Many of the species targeted by the BC groundfish fishery are found in areas of hard substrate which are more susceptible to damage than areas of soft substrate. In order to mitigate habitat damage, a number of regulations including spatial regulations are in place. For example, no commercial fishing activities are allowed in Rockfish Conservation Areas. In 2012, additional measures were imposed in order to protect corals and sponges.